Their journey started in 2005, well before any of the present pupils in the school were born. The school were awarded Bronze status in 2006, Silver status in 2007 and their first Green Flag Award in 2008. Since then they have maintained their Green Flag status, undertaking assessments every two years to keep their flag. 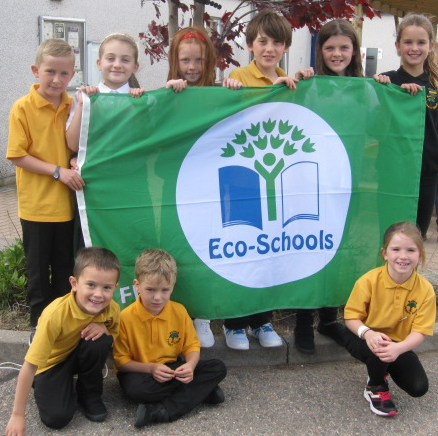 This is their sixth Green Flag Award which will fly at the school until June 2020. Over the last two years the pupils’ committees have steered a course which has included buying new recycling bins and placing these close to the waste bins, keeping a record of litter in the playground through the design of litter monsters and growing their own fruit and vegetables.